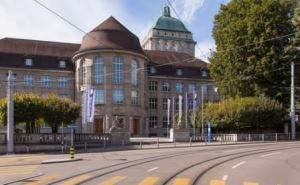 Switzerland is home to one of Europe’s most prestigious higher education systems, including continental Europe’s two highest entries in the QS World University Rankings® 2018 – ETH Zurich (Swiss Federal Institute of Technology) and Ecole Polytechnique Fédérale de Lausanne (EPFL) are both placed among the world’s top 15. Additional attractions to study in Switzerland come from the postcard-perfect beauty found throughout the nation, which is especially known for its magnificent Alpine mountains and dazzling lakes. With four official languages, it’s a true European melting pot, and consistently ranks among the world’s leaders on measures of quality of life. Sound good so far? 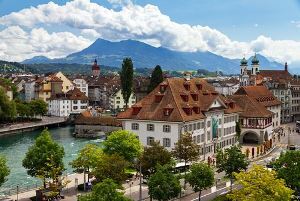 Then maybe Switzerland is the study abroad destination for you – click on the tabs below for more information. Nine universities in Switzerland are featured in the QS World University Rankings 2018, all of which rank in the top 550. ETH Zurich and EPFL, both within the global top 15, are joined by five more Swiss universities ranked among the world’s top 200. This is even more impressive when you consider that the population of the entire country is just 8.4 million (for comparison, that’s about the same as that of the US state of Virginia). As well as having a strong presence in the international ranking tables, universities in Switzerland are also very international in terms of their student and academic communities. Four of the eight ranked Swiss universities make the world’s top 100 for their percentage of international students, and the country also performs well when comparing the percentage of international academic staff members to universities in other countries. 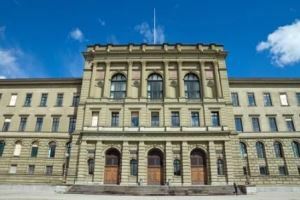 Switzerland’s highest-ranked university, ETH Zurich (Swiss Federal Institute of Technology) is currently placed 10th in the world and is the only non-UK European university to rank within the global top 10. The university was founded in 1855, and is well established as a leader in scientific and technical fields, with connections to an impressive 21 Nobel laureates. Today, more than 19,000 students study at ETH Zurich, studying at two campuses – one in the center of Zurich, and one on the outskirts. In the QS World University Rankings by Subject, ETH Zurich is currently ranked fifth in the world for the engineering and technology broad subject area, and sixth for natural sciences. Teaching at undergraduate level is mainly in German, while most master’s courses are English-led. The second of the two Swiss Federal Institutes of Technology, the Ecole Polytechnique Fédérale de Lausanne (EPFL) was established slightly earlier than ETH Zurich, in 1853, and follows close behind in the international rankings tables. It’s placed 12th in the world in the QS World University Rankings 2018, and in the QS World University Rankings by Subject comes 12th for engineering and technology and 11th for natural sciences. Since Lausanne is in a French-speaking part of Switzerland, most courses offered are in French, though there are also some programs in English. About half the size of ETH Zurich, Ecole Polytechnique Fédérale de Lausanne currently teaches about 10,500 students. With around 25,500 students, the University of Zurich is the largest university in Switzerland, and lays claim to the country’s largest selection of study programs. Currently ranked joint 73rd in the world, it conducts teaching and research across a broader subject spectrum than the more specialized ETH Zurich and EPFL, with facilities spread throughout the city of Zurich. With public outreach at the heart of its mission, the University of Zurich runs an impressive selection of museums, public libraries, collections, events and educational programs, including a “Children’s University” and “Senior Citizens’ University”. Among both the largest and the oldest universities in Switzerland, the University of Geneva was established in 1559. It stands at joint 98th in the QS World University Rankings 2018, and is located in Geneva, the second-largest Swiss city after Zurich. It offers undergraduate and postgraduate programs across a broad range of subjects. Teaching at bachelor’s level is mainly in French, while many master’s courses are led in English. Also ranked among the world’s top universities are the University of Lausanne, University of Basel, University of Bern, University of St Gallen (HSG) and Université de Fribourg; the first three are all within the global top 200, while the University of St Gallen is 372nd and the Université de Fribourg is new in 2018 at 501-550. A relatively small and landlocked country in the center of Europe, Switzerland is known for its modern cities, stunningly beautiful mountains and lakes, high quality of living, and delicious milk chocolate. With four official national languages and 25% of the Swiss population coming from outside the country, bilingualism and multiculturalism are at the core of daily life here. 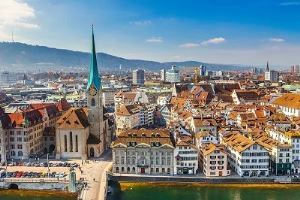 Switzerland’s largest city, Zurich is well-known as one of the world’s major financial centers, home to the fourth largest stock exchange and the headquarters of many international companies. Located at the tip of Lake Zurich, this urban hub offers plenty of opportunities to explore the beautiful Swiss landscape, with its mixture of historic and modern buildings set against a backdrop of hills and mountains. 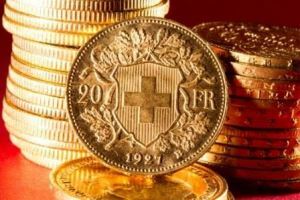 The cost of living, as in Switzerland in general, is high, but for international students this may be offset by the country’s relatively low tuition fees. The main language in this part of Switzerland is German. Universities in Zurich include two of Switzerland’s highest-ranked: ETH Zurich (The Swiss Federal Institute of Technology) and the University of Zurich, which are ranked 10th and joint 73rd respectively in the QS World University Rankings 2018. Based in the French-speaking region of Switzerland, Lausanne is a culturally rich city, and, like Zurich, it boasts a stunning lake-side location, on the shores of Lake Geneva. It’s Switzerland’s fifth-largest city, known for its historic medieval center with a grand gothic cathedral at its heart, its close proximity to a number of ski resorts, and its lively arts scene. 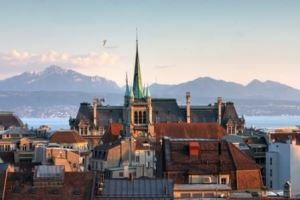 Lausanne is also the home of the International Olympic Committee, hosts a museum dedicated to the Olympic Games, and is currently bidding to host the 2020 Youth Winter Olympics. Its popularity among tourists and its significant student population both contribute to its vibrant nightlife. The main two universities in Lausanne are the Ecole Polytechnique Fédérale de Lausanne (12th in the QS World University Rankings 2018) and the University of Lausanne (146th). Lying between the lake with which it shares its name and the French border, Geneva is the center of Francophone Switzerland. It is known on the international stage as one of the world’s main centers of diplomacy, home to the second-largest base of the United Nations and an impressive number of NGOs. 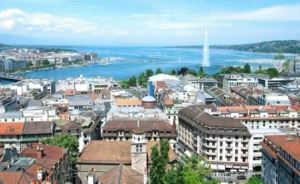 Like other Swiss cities, Geneva is among the pricier study abroad destinations out there, but in return you’ll get to enjoy a comfortable, safe and cosmopolitan environment, all while studying at one of the world’s top universities. Geneva’s highest-ranked university is the University of Geneva (joint 98th in the world). 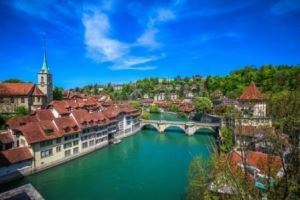 Known for its relatively relaxed pace of life, Bern is the federal capital of Switzerland, and its fourth most-populous city. The city’s pretty Old Town, with charming cobbled streets and 15th century buildings, is a UNESCO World Heritage Site. While there’s no neighboring lake, there is the meandering River Aare, and plenty of hiking trails in the surrounding hills and mountains. There’s also a good selection of museums and galleries, including the modern art-dedicated Paul Klee Centre, and enough bars and nightclubs to keep most people busy. Bern’s highest-ranked institution is the University of Bern, at 167th in the QS World University Rankings 2018. 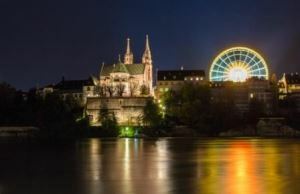 Situated towards the north of the country near to both the French and German borders, Basel is perhaps the ideal city for those keen to explore several other European nations during their stay. Switzerland’s third most-populous city, Basel is known as the center of the Swiss chemical and pharmaceutical industries, and also as a significant hub for culture, particularly music. It is home, for instance, to the Schola Cantorum Basiliensis, an international center dedicated to the study of music from the medieval period through to the baroque periods. The highest-ranked university in Basel is the University of Basel, which comes in at joint 149th place in the QS World University Rankings 2018, and which is the country’s oldest university. There is no centralized application procedure for international students, so to apply to study in Switzerland you’ll need to make direct contact with each university. You will be able to apply online, and universities’ international and admissions offices should be available to help you if you have any problems. Make sure you check the language requirements of the courses you’re applying to; this is a country with four official languages after all! German, French and English (particularly at graduate level) predominate. You do not require a visa to study in Switzerland. You will, however, be required to register with the local Residents’ Registration Office in order to obtain a residence permit. In order to get this you will need to present a completed application form, your passport, proof that you’ve enrolled at a university, evidence that you have enough money to support yourself, proof of your address and two passport size photos. If you have to leave for any reason, you will have to apply for a new residence permit when you return. Health insurance is mandatory, so make sure that you have purchased cover in Switzerland (unless coverage purchased in your home country is valid in Switzerland). You will need to apply for a multiple entry long stay visa (Visa D) from your local Swiss embassy. You must allow at least three months for your visa to process, so make sure you apply in plenty of time. The embassy will tell you specifically what you need to provide in order to obtain your visa, but it is likely to be similar to the above list for obtaining a residence permit. You will be allowed six months to find a job in Switzerland after completing your degree, and will be able to get a work visa if you succeed. Switzerland is not a cheap place to live. Living expenses for students are estimated between CHF18,000-28,000 per year (~US$18,500-28,800). However, this is counterbalanced by the country’s relatively low tuition fees. In most cases, international students pay no more than local students (some universities operate a slight mark-up). The exact sum varies, but at most leading Swiss universities, international fees are with the range of CHF1,266-2,200 per year (~US$1,300-2,265). Some scholarships are available, from the Swiss Government and from individual Swiss universities.